Ideal for borrowers who want the convenience of a comprehensive mobile application process. The Bottom Line: Fairway has lots of loans and a snazzy mobile app, but seeing rates requires personal info. Fairway Independent Mortgage Corp. wants to simplify the mortgage lending process in ways that will save customers time and money. It offers borrowers a robust suite of loan products and customer service touch points to do just that. From the usual stable of fixed-rate conventional loans and adjustable-rate mortgages to FHA, USDA, VA, renovation and reverse mortgage loans, Fairway has something for nearly every type of borrower. 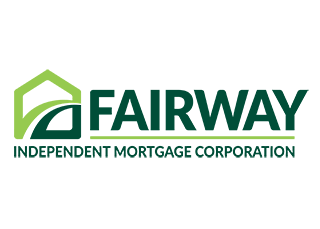 Founded in Madison, Wisconsin, in 1996, Fairway has grown into a national independent brokerage network with more than 4,300 employees — including more than 1,500 loan officers — in over 300 branches. It also has a second corporate headquarters location in Carrollton, Texas. Let’s see how Fairway Independent Mortgage stacks up against other lenders. Compare Fairway Mortgage with other lenders. If you’re looking for a fixed-rate loan, Fairway has several term options: 10, 15, 20, 25 or 30 years, depending on the loan type. Likewise, if you want an adjustable-rate mortgage, Fairway offers those, too, but doesn’t list its ARM terms online. Fairway did not respond to multiple requests for an interview and information. Fairway also offers a variety of government-insured loans, including Federal Housing Administration, U.S. Department of Agriculture and Veterans Affairs. One of its most notable offerings, however, is a renovation loan. With Fairway’s HomeStyle Renovation Loan, you can combine the cost of remodeling and the mortgage loan amount into one loan, regardless of whether you're purchasing a home or refinancing your current mortgage. This helps you streamline your mortgage payment and the cost of home improvements by avoiding the need for two separate loans. There's no minimum dollar amount you have to spend on repairs, and you can use the money for all types of remodeling projects. The upgrades must be “permanently affixed to the real property, add value to the property and be completed by a licensed contractor,” according to Fairway’s website. You can even use the renovation loan for energy-efficient upgrades — think solar panels — on your home. If Fairway customers have problems or questions, they can turn to a 24/7 online loan administration portal, a new mobile app, a call center and email help. Borrowers also get an easy-to-use loan application with Fairway’s eight-step online application process, which is on a par with that of other major mortgage lenders. What sets Fairway apart from other lenders in an industry that’s slow to embrace new technology is its new FairwayNow mobile app. With the new app, borrowers can find a local loan officer, calculate monthly mortgage payments, apply for a loan in under 10 minutes, and securely scan and upload financial documents, according to a news release in December. The release also states that Fairway’s app can help close home loans in as little as 10 days. "Fairway is dedicated to providing speed of service with consistent communication to our clients," Steve Jacobson, founder and CEO of Fairway, said in the news release. "We want customers to be able to close when they want, so why not offer a solution that allows them flexibility in closing?"